Dr. Mark J. Roy established his private practice in Oakland Township after practicing more than 20 years in Oakland County. Opening Oakland Optometry offered him the opportunity to provide comprehensive medical eyecare treatment in a state-of-the-art office and in his own community. He loves meeting neighbors and friends right in his office. Dr. Roy graduated in 1987 from the Michigan College of Optometry at Ferris State University in Big Rapids, Michigan. He graduated with distinction, ranking among the top ten students in his class. He is trained and licensed to use diagnostic and therapeutic pharmaceuticals for the treatment of various eye conditions. ​Many of Dr. Roy's patients have worked with him since their first eye exam as children and they are now graduating and getting glasses for college. ​Dr. Roy specializes in managing glaucoma, cataracts, diabetic retinopathy, macular degeneration, eye infections, ocular allergies, dry eyes, children visual assessments and contact lenses. Giving back to the community is a passion of Dr. Roy's and Oakland Optometry is involved in several area nonprofits giving of time and resources to schools, churches and community events. When he's not at the office, Dr. Roy currently resides in Rochester Hills with his wife and three children. In his spare time, he enjoys fly-fishing. ​After years of training and coaching of up and rising leaders in the optical corporate world, Stephanie brings a unique skill set to Oakland Optometry. 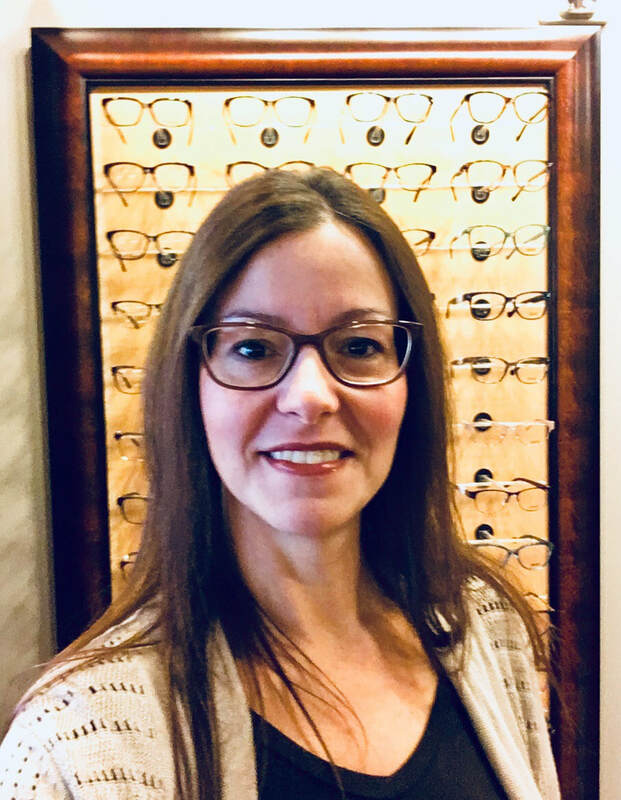 In addition to managing our practice, Stephanie is highly requested and has quite a following with helping patients in selecting eyewear and lenses. Stephanie complements our optometric team with her unique approach to managing eyewear and eyecare needs of our patients to their lifestyle needs. A graduate of Ferris State University Opticianry program, she's an expert at measuring the precise prescription for patients' lifestyle needs. Grab a cup of coffee, enjoy the cool music (based on "the mood of the day") and get wowed by Stephanie! ​​Meet Tina Saville, your personal stylist and lens consultant. Tina is the newest edition to the Oakland Optometry team. Tina's casual and fun demeanor puts you at ease while making the perfect selection to fit your lifestyle and to help you look and see your best. She enjoys turning what can be a challenging task of picking out glasses into a pleasurable experience. Our patients can be heard saying, "Wow, I love my glasses and that was so much easier than I thought it would be!" ​She prides herself in providing a top notch experience for all our patients.